Blue Fizz Events is delighted to present the totally fabulous BOHO and RETRO WEDDING FESTIVAL at beautiful Bridwell Park, located just off the M5, a short drive from Exeter. 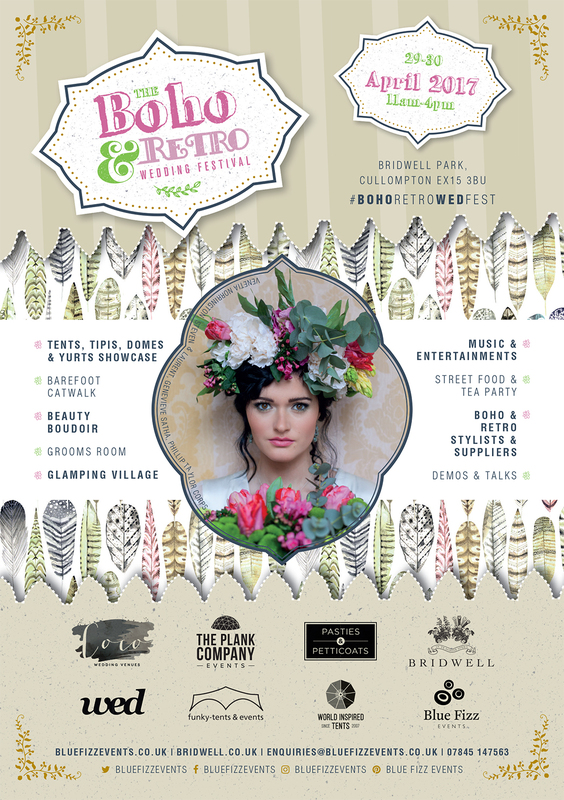 Free entry via ticket – pre-register at Eventbrite: BoHo and Retro Wedding Festival. Goody bags and gorgeous giveaways | Showcase of Wedding Marquees, Tipis, Domes & Yurts | Boho & Retro inspired music and entertainment | Pop-up hair and Beauty Boudoir | Barefoot Catwalk | Grooms Room | Glamping Village | Talks & Demonstrations | & so much more.